28 Inspirational Bruce Lee Quotes For Wisdom And Success - Motivate Amaze Be GREAT: The Motivation and Inspiration for Self-Improvement you need! One of the most influential people from the 20th century and surely the most influential martial artist of all time, Bruce Lee lives on. He was an actor, filmmaker and a martial arts instructor. Lee's performances on stage and martial arts skills were jaw breaking and surely contributed to his legendary status in the fitness world, but, it was his philosophy that really set him apart and made him an icon for the ages. His words of wisdom and quotes on life are legendary, and still useful today! 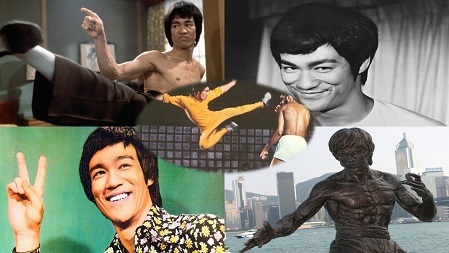 With a small frame, he was one of the toughest and strongest guys around, and no wonder, he had his own martial arts technique (Jeet Kune Do) originated by his unique perspective and wisdom on life. Like this Bruce Lee quotes? Share them on your favorite social network so you can inspire your friends with Bruce Lee's motivational wisdom.